Nothing says summer quite like a pool party – no, we’re not talking about the ones from your childhood with pool noodles and balloons. 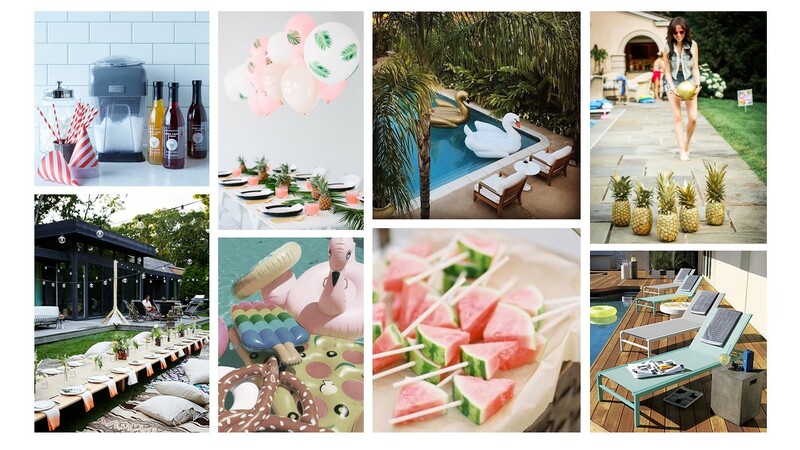 We’re talking about the poolside summer fetes thrown in Hollywood that we see all over social media. Who said that you can’t throw one that is just as noteworthy? Find a pool, send out those invites and get ready to make waves at your next pool party using our tips! Is a party really a party without a theme and a color scheme? Get creative with this because you don’t want to end up with predictable party décor (such as the overdone Luau theme). Don’t have really nice backyard furniture? Fear not! Simply string up some edison lights, or find some fun outdoor lighting fixtures to help set the mood once the sun goes down. A few lanterns, hurricanes, throws and cushions can also add some flare. Be sure to have plenty of seating for everyone, including loungers and benches. Feeling a bit fancy? Cover some foam spheres with flowers and attach the arrangements to weights anchored to the bottom of the pool! Finally, no party is complete without really good music to dance to. Make your own playlist or hire a DJ to really set the tone. Fun floaties have been all the rage. Goodbye to the boring inflatable rafts and noodles and say hello to donuts, flamingos and beach balls that are bigger than your wingspan! 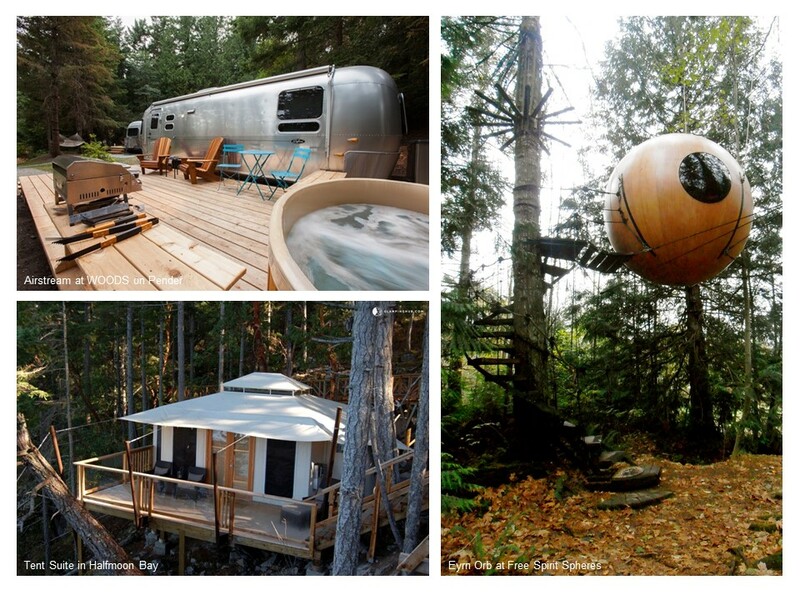 These are sure to invite those who usually don’t want to jump in to go for a dip! Your inner child is sure to want every single one of these. Who doesn’t enjoy sipping on a cold drink poolside? Create your own backyard bar with custom drinks that are Pinterest worthy (don’t forget water to hydrate). This is an opportune time to perfect your sangria recipe too! If you are feeling a bit more adventurous, get a snow cone or slush machine or make your own ice-cream stand complete with custom sauces and toppings. Let’s not forget the food! Put together a menu that is festive, seasonal and refreshing. Make your signature guacamole and fire up the barbeque or if your budget allows, hire a caterer for some scrumptious hors d’oeuvres. Your pool party is sure to be the talk of the town for the rest of the summer! What does your perfect pool party look like? Let us know in the comments! Situated in the heart of downtown Vancouver and nestled within the 4th floor inner courtyard of the historic Rosewood Hotel Georgia is Reflections: The Garden Terrace. This tranquil urban oasis is the perfect place to grab a bite and a drink after work. With a variety of seafood and tapas-inspired dishes, new and original cocktails and a showcase of wines, you are sure to unwind here. This year their dining and design concept is inspired by the Pacific Northwest with a crisp color scheme of blue and white accented by vibrant foliage, flowers and soft lighting. Did we mention that there are also heated cabanas? Accommodating 120 guests, The Roof at Glowbal Group’s Black & Blue Steakhouse is Vancouver’s largest rooftop patio. Rain or shine, guests can enjoy this patio with an electronic ceiling that can be adjusted depending on weather. Looking out to the neighboring buildings on Alberni Street, you can grab a drink with friends and lounge around a fire or enjoy a perfectly cooked steak from the restaurant’s Josper Grill – the first of its kind in Canada. You are sure to love the warm ambiance as you watch the sun go down from here. Don’t leave without trying one of their decadent desserts! The flagship restaurant of Glowbal Restaurant Group, Glowbal is exquisitely designed and is situated on the ground floor of TELUS Garden, Vancouver’s newest architectural landmark. Apart from their palatial interiors by BOX Interior Deisgn, the patio also boasts some spectacular features. Protected by soaring, winged, etched Italian glass is the all-weather patio which is partly warmed by an interior energy-smart fireplace. Take a seat and people-watch as you enjoy your meal or if you’re lucky, be seated in one of the unique bird cage-esque booths with your party. This patio is the spot to see and be seen. 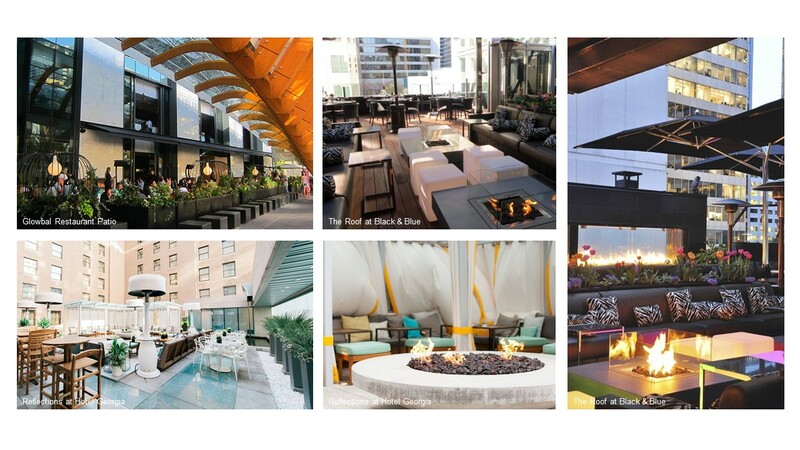 Which patio will you visit first? Let us know in the comments below!